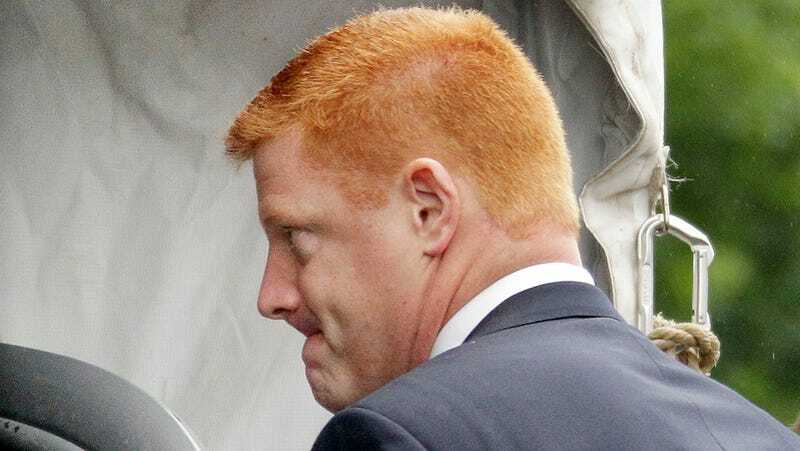 One the great mysteries surrounding the Jerry Sandusky case involved the boy known as Victim 2, the one former Penn State assistant coach Mike McQueary says he witnessed Sandusky abusing in a Penn State football building shower on Feb. 9, 2001. It was, of course, McQueary's eyewitness account that entangled several individuals at Penn State, who never reported the incident to outside authorities. All this time, however, Victim 2's identity and whereabouts were never known. As part of the investigation, they acquired voicemails from Sandusky to the man, and released those on www. rossfellercasey.com, the website of the Philadelphia law firm they are working with. We have conducted an extensive investigation and gathered overwhelming evidence regarding the details of the abuse he suffered. This evidence includes numerous voicemails left by Sandusky in the fall of 2011 as the likelihood of his indictment became apparent. Today, we are releasing two of those voicemails. As these messages indicate, Sandusky was attempting to exert control over our client even as his arrest for child sexual abuse became imminent. The lawyers say they intend to file a civil lawsuit against Penn State on their client's behalf.